New King James: Do you not know that the unrighteous will not inherit the kingdom of God? Do not be deceived. Neither fornicators, nor idolaters nor adulterers, nor homosexuals nor sodomites, nor thieves, nor covetous, nor drunkards, nor revelers, nor extortioners will inherit the kingdom of God! Now is that not plain? It certainly does NOT mean that if you fit any of those categories of sinners that God won’t draw you to Himself and save you. IT DOES NOT MEAN THAT ALL SUCH FOLK ARE GOING TO HELL. IF THAT WERE SO, I WOULD BE AMONG THEM. You see, the very next verse is also clear. Paul was addressing Corinthian believers when he boldly states “and such WERE some of you. But you were washed, but you were sanctified but you were justified in the Lord Jesus by the Spirit of our God. Unfortunately, once you steadfastly defend and uphold a lifestyle that is completely oppositional to the word of God, as you manipulatively fight the truth with defensive rhetoric to support your choice, the LGBTQ community has actually boxed itself in to a perpetual rebellion against the word of God and against the blood sacrifice of Jesus Christ of Nazareth. 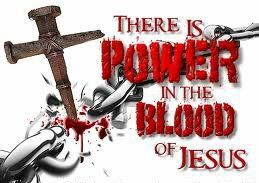 If you deny His death, then you deny the power of His blood to cleanse you. His resurrection and the power of His blood to save your spirit and to deliver you from all the power of the enemy. To be phobic is to be afraid. I fear no one but God. I have never been hostile to the LGBT community. Back in the 60’s, I liked homosexual men better than I liked women, so I have had at least 3 gay best friends over the years. . Here is the deal. If you have a skill, I will hire you, regardless of your lifestyle. . Just don’t try to force your LBGTQ agenda down my throat while you are fixing my plumbing or designing my clothes. My stand is that sexual orientation should not enter the equation of work or business. . Kim Burrell made the mistake of “going along to get along.” LBGTQ is very skilled at causing straight folk to compromise and hide from them what they really believe. My position is loving but strong. I will not compromise the word of God to make ANYBODY feel good about themselves and their choices. I will leave you alone and not preach to you unless YOU ask me to. But if you try to impose your belief system upon me, you will get your feelings hurt. For examplei f I had a gay family member, I would not reject him or her. Yet I would not fellowship with that relative as part of a gay couple. As an example, I would not accept a dinner invitation with my relative and her partner together as a couple. One on one activities with that relative would occur, as long as issues pertaining to LGBT are not pre-eminent. By example, in all my relationships, i tend to establish boundaries as to what I can and cannot do. And it is not personal. After all, I don’t fellowship with adulterers, extortioners, thieves, drunkards, idolaters, in short , none of the people who fit the categories of 1 Cor 6:9. Kim Burrell is between a rock and a hard place, not only in the entertainment industries but also in the church. For after all, was it not a churchperson, a secret enemy, who ratted her out and posted her sermon video on social media? There is a lot of confusion about sin and related subjects, not only from the lost but from Churchgoers as well. The bible predicts that in these times, people will die from fear, phobias of all kinds. People are afraid of going to hell, fearful of having committed the unpardonable sin, hearing fearful voices, seeing demons in visions, afraid of predictions they received from psychics and false prophets, and so many other things, too numerous to mention. If you need help, complete the contact form below. As a black gay man, I agree that she is being bullied. She is a black woman and it makes her an easy target. However, what she said was wrong. What was wrong with what she said, My Brother. I understand what happened to her as a preacher. She got caught up in her message. ,I have done that myself on occasion. When that happens, you think it’s the Holy Ghost when really you got caught up in your own emotions. I agree that there was a lot of emotionalism that was going on. Because the souls she were referring to were the souls of her friends. And I cannot imagine my friends and loved ones burning in hell because of the spirit of homosexuality. And as a woman of God, she should’ve been able to rebuke the spirit of anger and wrath that was coming upon her. But I do no subscribe to that. And she was wrong for not coming to them or having a meeting with them. Because her church doesn’t seem that big, but I could be wrong. I like your work, cmortalx. I have subscribed to you. I noticed you subscribed to me also. I wrote another post on Kim Burrell that I would like you to read as well as an article called LBGTQ: There Is No Such Thing as a Gay Christian. As for your comments about the church, you re absolutely right. You may want to visit my other blogs as well. I like this video. LISTEN TO the scriptures in this teaching.